Igor Gavar talks about how he went from being a successful photo-blogger to building a modeling agency, where to scout for older models and where they are in demand. The blog Oldushka.com began in 2011 when photographer, Igor Gavar, 29, of Omsk (1,680 miles from Moscow), started taking pictures of older residents in his hometown, as well as in Moscow and St. Petersburg. The stylish images first appeared on his blog, which in March 2016 became the Oldushka model agency. 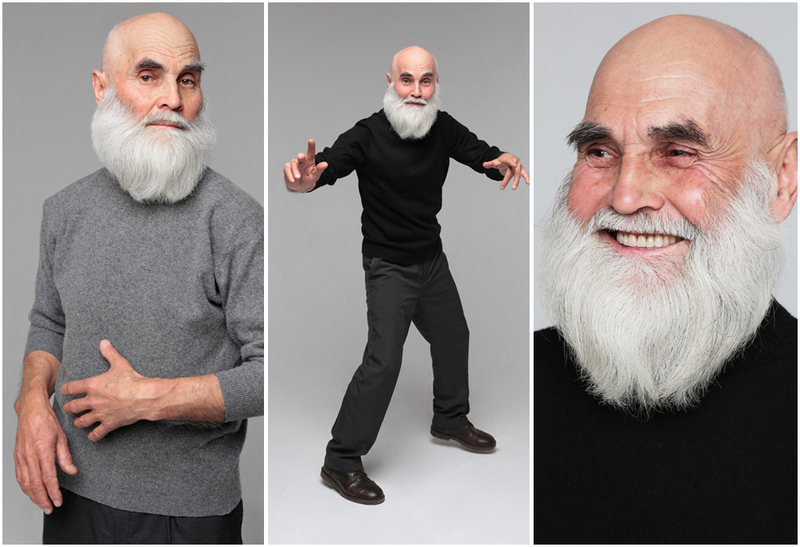 Due to his efforts over the last two years, models aged 60-72 have been featured in Russian fashion magazines and even posed for a new Cyrille Gassiline ad campaign. Studying interior design in the Omsk State Service Institute, Gavar was intrigued by what was going on at the costume design department next door. He found another source of inspiration in the movies of Renata Litvinova, a Russian film director. Many of her stories feature elegant and eccentric old women. For now the Oldushka model agency represents seven models; each was selected by Gavar himself. He scouts for older people in the streets, first asking them to pose for a picture and later inviting them to join the project. This is exactly what happened to Lyudmila Brazhkina in Moscow. The ex-engineer is now a 63-old model. Brazhkina goes to the gym regularly and is a huge fan of jeans. She is more interested in the process than the photos themselves. When it comes to beauty and style, Brazhkina believes in personality. Nina Torshina, 72, joined Oldushka out of curiosity. Western fashion has been using older models for a long time. For Russia, it’s still a new idea. In the 2010s, ladies aged 70-80 appeared in the ad campaigns for Lanvin, Celine, Delvaux and MAC. At Paris Fashion Week, Japanese designer Jun Takahashi presented his Fall-Winter 2017 collection for Undercover with mature models hitting the catwalk. Oldushka models haven’t been invited to Moscow Fashion Week yet, and this is too bad, says Alexei Belyakov, a columnist for Allure Magazine. In 2012, the blog Oldushka.com won a 5,000-euro grant from the United Colors of Benetton as a social project supporting elderly people in Russia. As agreed upon, the money will go towards publishing an album with photos and stories about the project participants. For Gavar, Oldushka isn’t so much a business, as his life’s work in which he’s able to combine fashion with social aspects. Gavar admits that the mere fact of launching the model agency is a huge achievement. Oldushka is not the primary source of income for his models.